Kevin Skelton lost his wife Philomena in the bomb and in the immediate aftermath of the blast believed he had also lost his three daughters. 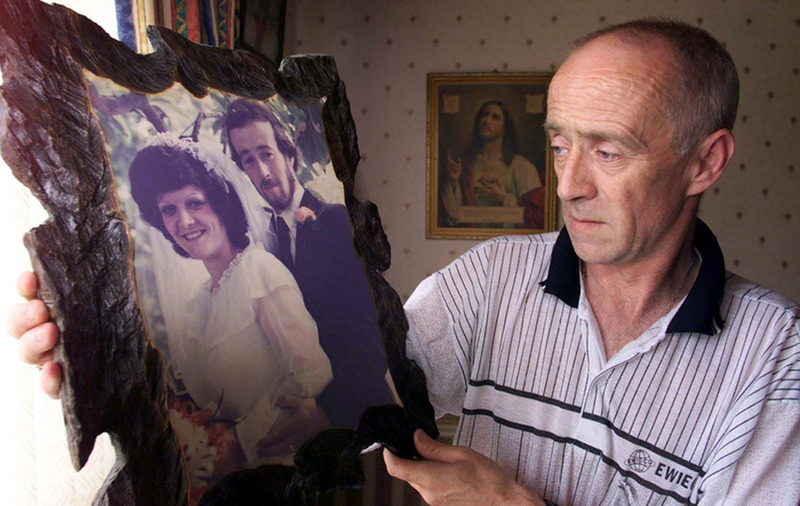 The family had been in the Co Tyrone town shopping on August 15 1998 when the bomb exploded. Some 29 people were killed, including a woman who was pregnant with twins, and hundreds were left injured. 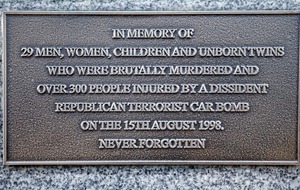 A memorial event to remember those killed and injured will take place at the site of the bomb on Wednesday at the exact hour it detonated, 20 years later. Kevin had just left his wife and daughters to go to another shop when the bomb exploded. "I remember it as if it was yesterday, we were looking for brown shoes for Shauna, then across the street into SD Kells, that's where I left my wife and girls and went into Mr Gee's," he said. "As I turned to come out again, that's when the bomb went off, the window was sucked out and I walked out after it. "I went in what was left of Kells window and found her (Mena) lying face down in the rubble. I thought my daughter was buried underneath her because she had been standing with her mother when I left, I couldn't find Tracy, I couldn't find Shauna and I couldn't find Paula. "I thought they were all gone. 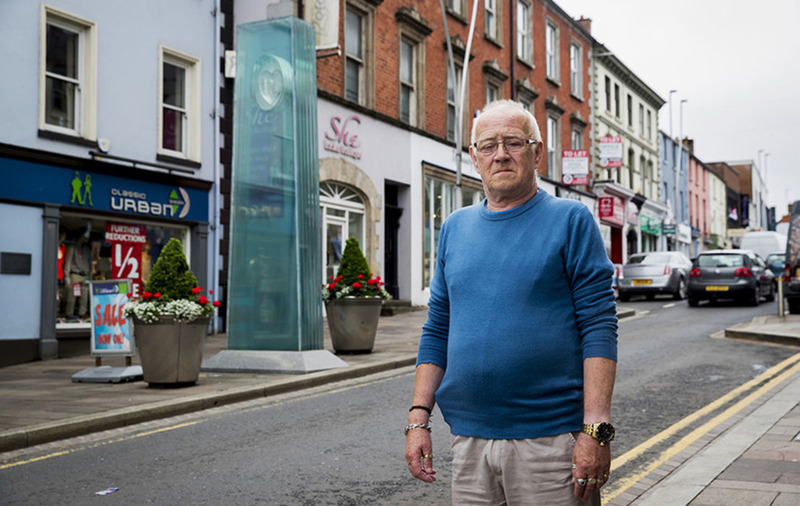 "When I lifted Mena's arm and dropped it, I knew that was it, but the next time I ran back in again, Tracy was beside her mother on her knees, she'd been further down the shop and got knocked out, but someone had taken Shauna away to the hospital, and Paula was on down near the corner. "The one thing I will never ever get rid of, until the day I close my two eyes, was the smell, the smell of burning flesh and the cries of people in pain. "No human being should have to see that. 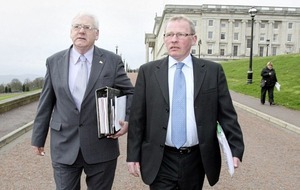 "The chat about Catholic and Protestant, blood is all the one colour running down the street, and for what. Absolutely nothing." Mr Skelton said the next few days passed in the blur. "Four or five years after their mummy died, I wasn't much of a father, and I feel regret about it now," he said. "They tell you about counsellors, what a load of cobblers, we had nobody, when her remains went out the door and the door was locked, that was it. "The only ones I had was my mum and my dad. They were always there and only for them, my mum in particular, I wouldn't be here today. "I did some things I am not proud of, the drink, you think it is helping, there comes a time when it is no good anymore, and it only adds to the pain. It certainly does not help." The turning point came when Mr Skelton almost took his own life. He said the thought of the impact his death would have on his mother made him stop. "This feels selfish, that it wasn't my children that stopped me, it was what it would do to my mother," he said. "Then I got up the next morning, and took the gun back into the gunshop, and gave the permit back to the police." Mr Skelton remarried in 2005, but said he battled guilt. "It took a long time, but even when I met the woman who was later to become my wife, there was all this guilt that you felt something for someone else," he said. Kevin and Mena would have been due to celebrate their 40th wedding anniversary on August 31 this year. He said he regrets the moments she has missed, such as two of their daughters qualifying as teachers. Mr Skelton runs a victims group called Families Moving On to help support those affected by Omagh, as well as other terrorist attacks. 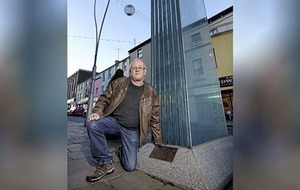 "I never thought then, I'd still be sitting here and arguing over victims, after all the rhetoric by Bertie Ahern, Tony Blair and Bill Clinton that no stone would be left unturned, but they got on a plane and said goodbye, it's row your own boat," he said.